Find your corner of Berlin with this essential travel guide to this great city, designed to help you create your own unique trip and to transport you there before you've even packed your case - marvel at ancient treasures on Museumsinsel, explore Berlin's complex history at Checkpoint Charlie or walk in the footsteps of royalty at Schloss Charlottenburg. The DK Eyewitness Guide to Berlin covers the must-see sights and the hidden corners, so you won't miss a thing. - Reasons to love Berlin: vibrant street art, the legendary nightlife, peaceful canal walks - what will yours be? - Easy-to-follow walks and itineraries take you on a tour of each area, with plenty of eat and drink stops en route. 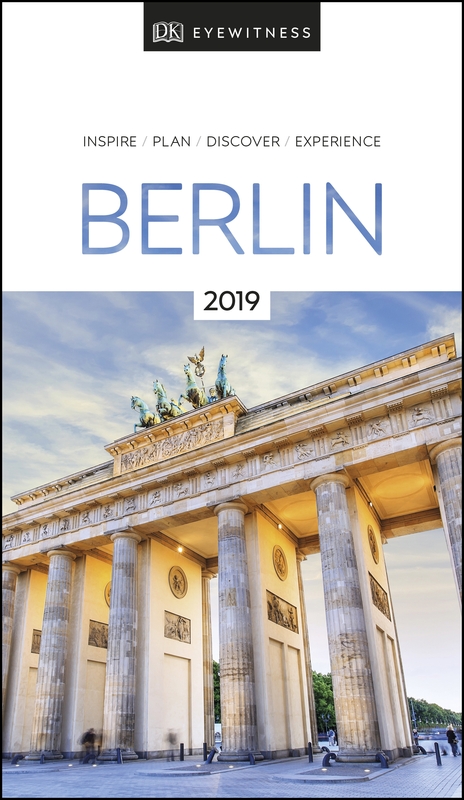 DK Eyewitness Travel Guide Berlin is a detailed, easy-to-use guide designed to help you create your own unique trip. DK Eyewitness: winner of the Top Guidebook Series in the Wanderlust Reader Travel Awards 2017. Staying for longer? Try our DK Eyewitness guide to Germany. About DK Eyewitness Travel: For 25 years, DK's beautifully practical Eyewitness guides have been combining inspiring ideas and expert advice with easy-to-read maps and vivid photography to inform and enrich your holiday. This year they have been given a stunning new look that you will love even more. DK is the world's leading illustrated reference publisher, producing beautifully designed books for adults and children in over 120 countries.